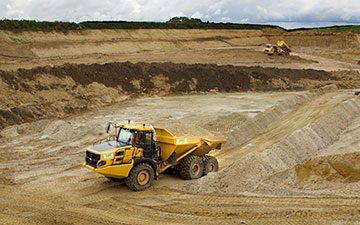 As a leading UK supplier of primary aggregates SRC Aggregates provides top quality materials sourced from our own East Anglian based quarries. 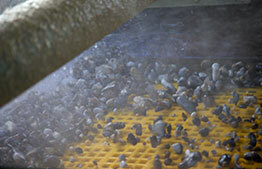 SRC Aggregates are proud to own and operate a number of working quarries across East Anglia and close to London. 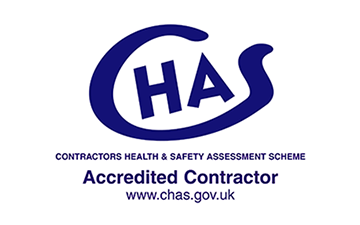 With both state of the art processing equipment and our own highly skilled workforce, you can rely on us to supply a range of top quality materials and direct services across London, Essex, Hertfordshire and Suffolk. 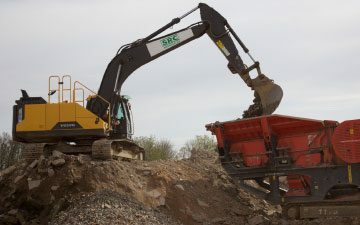 Whether you need sharp sand, shingle, ballast or hard rock such as granite or limestone SRC Aggregates supply primary aggregates to your exact specifications for any size of job. 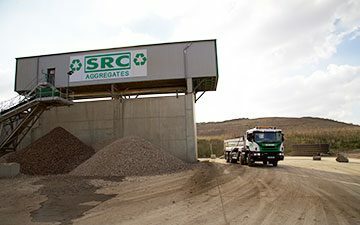 Backed by our trademark customer service, meticulous quality control and dedicated haulage fleet, SRC Aggregates can supply all your building material needs. 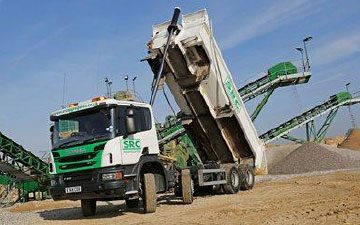 To ensure that our delivery and collection services match the high standards of our materials and client service, SRC Aggregates owns and operates a large fleet of tippers, grabs and articulated lorries. 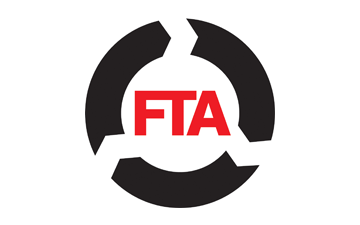 Manned by our fully trained and highly experienced team of drivers, you can depend on both their professionalism and efficiency. 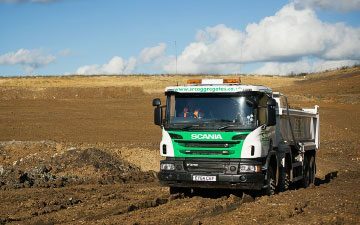 Whether making a simple delivery to your site or carrying out longer term operations, such as large bulk muck shifting or remediation import jobs, you can trust our dedicated fleet to get the job done – safely and on time. All of SRC Aggregates’ fleet of vehicles are FORS Gold registered and monitored by GPS tracking and routing software – enabling us to provide up to the minute information regarding your delivery or collection. 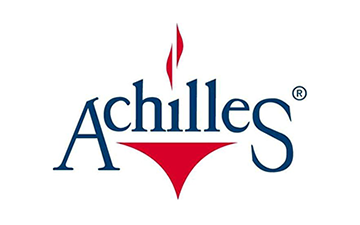 In addition all of our vehicles delivering to sites have the latest in pedestrian and cyclist safety equipment installed, including 360 view cameras and side skirts. SRC Aggregates also actively promote the “Let’s look out for each other” campaign. 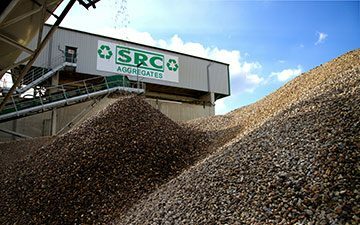 Whether you need sharp sand, shingle, ballast or hard rock such as granite or limestone, SRC Aggregates supply primary aggregates to your exact specifications for any size of job. 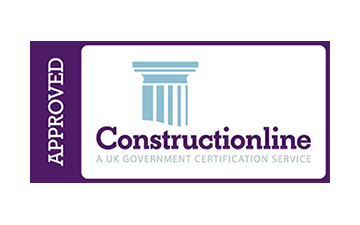 RCA (Recycled Concrete Aggregates) are an important part of our core offering and are subject to the same high quality control as our primary aggregates. 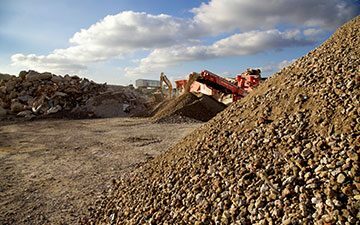 All of our recycled aggregates are obtained through our waste management process and, as a result, are guaranteed to be free from contamination or unwanted materials. 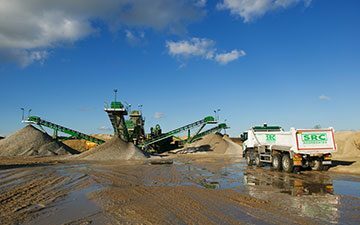 At any one time we hold a plentiful stock of recycled aggregates including crushed concretes and hardcores – ensuring that whatever your needs we have the materials available to fulfil any order quickly and efficiently. 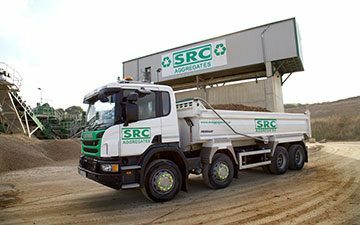 SRC’s recycled aggregates are produced under WRAP protocols and are fully tested by our in house testing regime to maintain the highest quality in line with Highways 600 series.